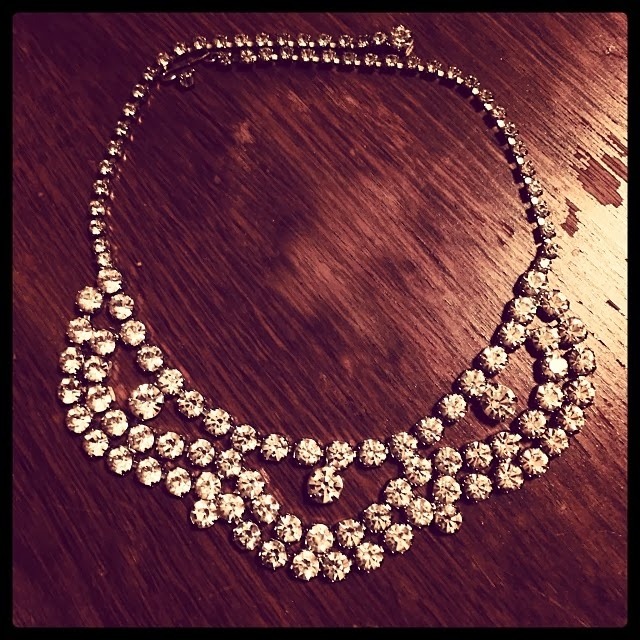 Thrifed this 1950s rhinestone bib necklace. Once I tried it on, I knew I had to keep it; although it may be a while before I actually wear it. 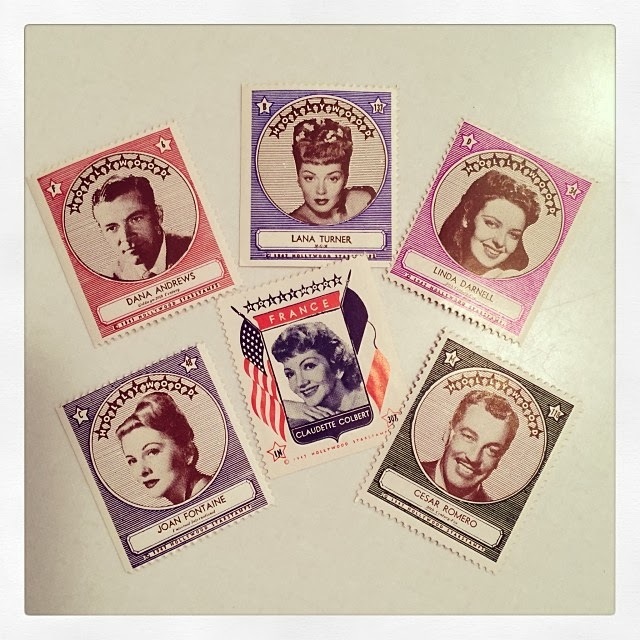 Added these fantastic 1940s classic hollywood star stamps to my movie collection. Some of my favorite stars were featured on these stamps and I am currently researching more about these for a project I am working on. 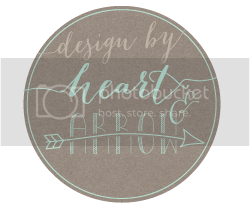 When I learn more, I'll share here on the blog. 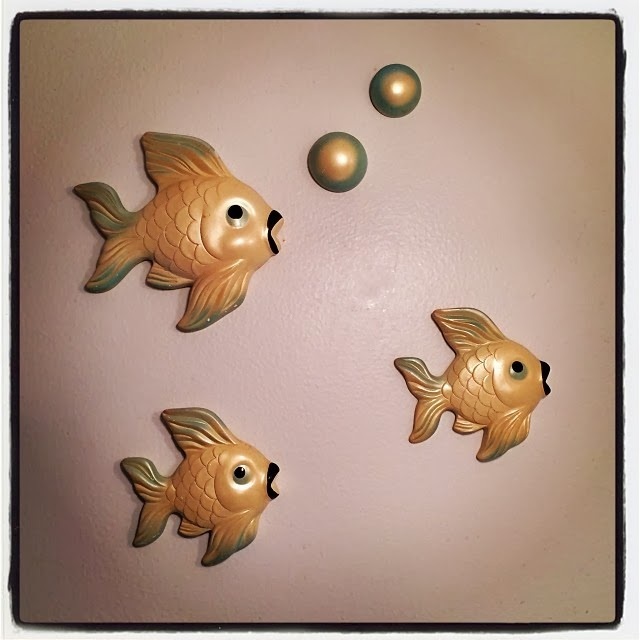 These 50s/60s Miller Studio chalkware fish hang in my 1964 blue bathroom. I always wonder what my grandma had hanging in the bathroom when she lived here in the 60s. Really, I just wish I could walk through all her homes; we had such similar style. 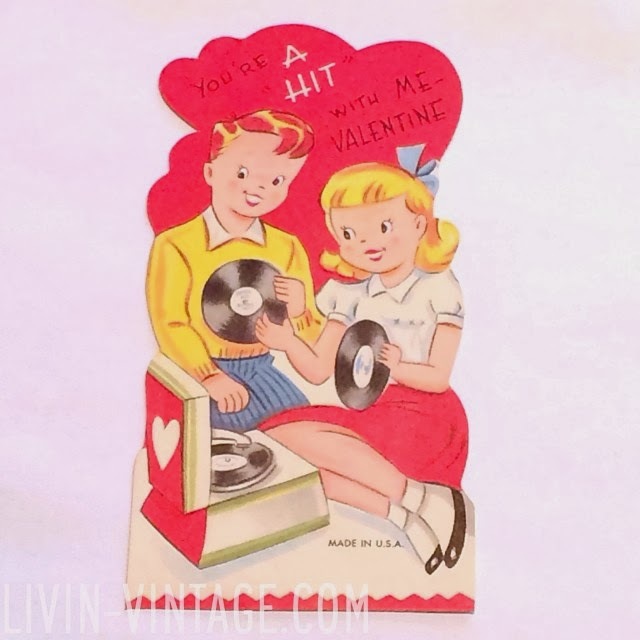 As mentioned in my last post, I am sharing one vintage valentine a day until February 14th. 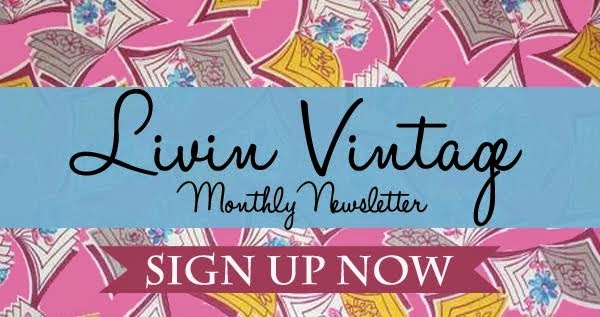 Follow @livinvintage to see them all! Bakelite mail! I am slowly working on expanding my bakelite collection. I have a lot of yellows and greens, but I seriously lack other colors. 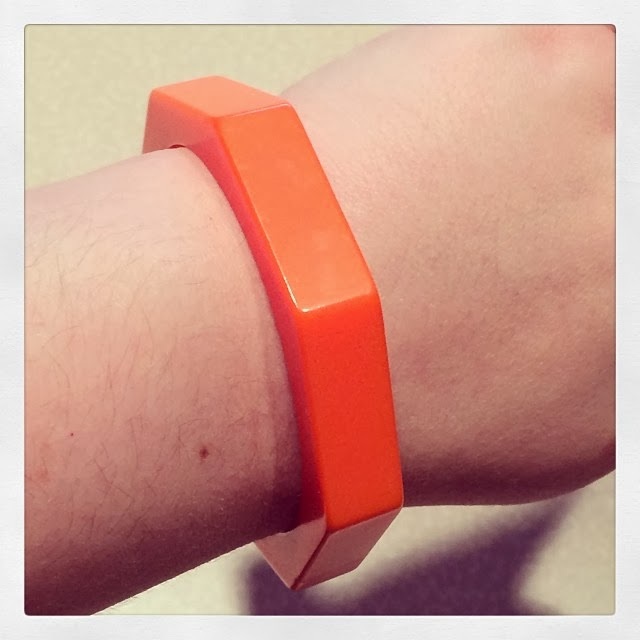 This geometric chunky orange bracelet fit the bill and was a total steal! OH my word, HERMAN. MILLER. STUDIO. FISH!!!! 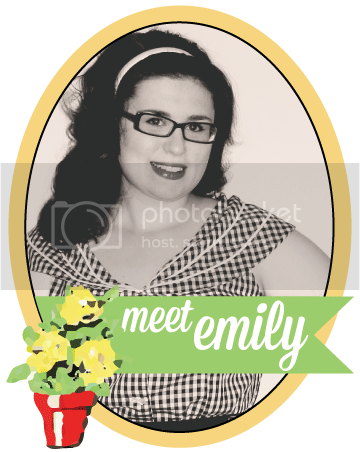 :D I collect them, in hopes of one day having a "school" of them to hang on my bathroom wall. Not so long ago I used to see them everywhere (but of course I had no interest then!) 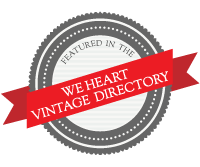 Now that they are popular again its been hard to find them, but it makes it that much more rewarding when I do! (I scored 2 green ones a few weekends ago.) The real dream is to find some HMS Mermaids or the even harder to find Mermen! your instagram photos looks great!